Leave a comment on THIS post by 6 p.m. CT Tuesday, March 1, 2016 to be entered in the DRAWING for a copy of the book below. If you mention in your comment that you’re a follower (see in the left sidebar “Join This Site” and “Follow by Email”), I'll add your name a second time in the drawing. U.S. mailing address required to receive a paper book. I may or may not have read books offered for giveaways. The mention and giveaway of books on this blog does not in any way indicate any manner of endorsement of said books. Read book giveaway details at Disclaimers. To provide you security, please leave your email address like this: johnATyahooDOTcom. Winner announced in next Thursday's blog post. “The characters in my stories face situations that would have been unthinkable 20 years ago,” says author Dawn V. Cahill. “We live in a vastly different world than our parents did -- a world of terror and violence, of upside-down morality, of hostility to Judeo-Christian values.” Her stories feature ordinary Christians following hard after Christ in this not-so-brave new world. Ms. Cahill also blogs about puppies, substance abuse, and single parenting…sometimes all in the same day. She has written several newspaper articles, two novels, and more limericks than she can count. 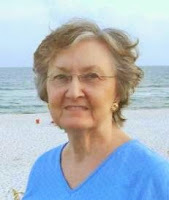 She is a member of American Christian Fiction Writers. Welcome, Dawn. If you could have dinner with one person from today or history (except Jesus) who would it be? Why? Ogden Nash. I want to pick his brain on how he came up with all those clever rhymes. Hiking, long walks, crossword puzzles, coffee with friends. Post reviews on Amazon and Goodreads; tell all your friends and social network connections about the book; encourage them to sign up on my blog, where I keep my readers updated on my writing journey. Please tell us a little about your novel, Sapphire Secrets. 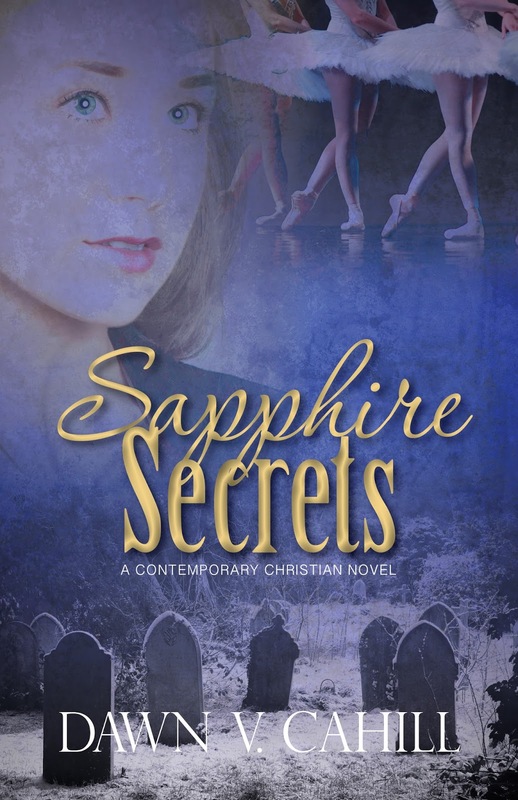 Sapphire Secrets – Seattle Trilogy, Book I: What if you suspected you’d been lied to all your life? How far would you go to uncover the truth? 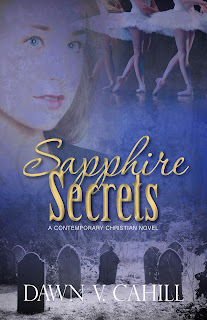 Where can readers purchase Sapphire Secrets? If you could have coffee with any Christian fiction author, who would it be, and why? Dawn, thanks for visiting with us. One commenter to this blog post will receive an eBook copy of Sapphire Secrets that Dawn is offering. The winner of last Thursday’s blog post drawing for an eBook copy of their choice of one of my books is Stella. I’ll email you. Thanks all for commenting. Watch for more book giveaways. Goodness. I'd like to have coffee with Kristin Heitzman because her books have helped me to improve my writing and I'd like to thank her. I'm a follower. Patricia, thanks for leaving your comment and for following my blog! Oh yay!! I won last Thursday's drawing. I would love to have coffee with Angela Hunt. I just read her book "The Debt." It reached to my very soul in a way a lot of stories don't. Needless to say, I kept a box of tissue close by. Way beyond five star for me. Thank you for this giveaway and bless you all. Angela Hunt is one of my all-time favorites, too, and an inspiration! Sandra, thanks for coming by and leaving your comment. Alicia, thanks for leaving your comment. Just found your blog from goodreads. Trying to narrow down my favorite author is incredibly difficult! I would love to meet with Julie Klassen and Mary Lu Tyndall. Thank you for this giveaway. This book sounds fascinating.